Some of us in my family (brothers, niece, nephew, sister- in-law) were sitting around on Saturday watching a DVD with old family movies. 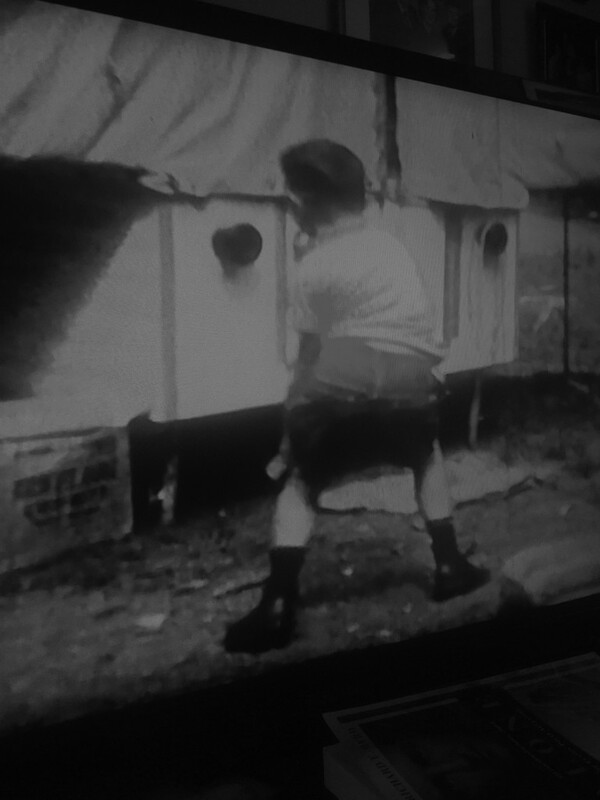 I couldn’t resist snapping this picture of the TV screen showing my brother Pat wagging his rear end at the camera. Of course that was way back when we all were kids, and the movies my dad took showed lots of silliness on the part of all four of us. I lied in the title I gave this. Pat is actually a very nice looking man. Miley Cyrus doesn't hold the patent to twerking! This single image says so much about how engaging your family must be!